Drifter Entertainment has released a massive update for sci-fi VR shooter Gunheart, which entered Early Access on Steam in July 2017. Fans of the game can now experience three star mission achievements, new enemy variants, new death screen, PVP Updates and additional new content on Steam Early Access for HTC Vive, Oculus Rift and Windows MR. All that extra content should give players some more to do in the world of Gunheart while also adding some depth to the game as well. 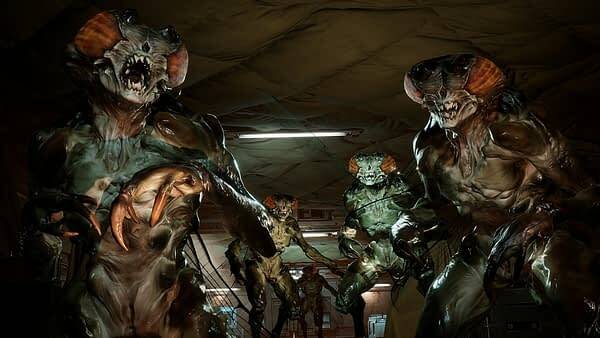 Gunheart has been slowly growing in content since its launch in Early Access, and this latest patch serves to continue that model. You can watch as Creative Director Brian Murphy and newcomer Executive Producer Hunter Hudspeth highlight the new content for the game in the follwoing video and the patch notes just below. 3 Star mission achievements. Now users can keep track of their accomplishments. Earn up to three stars for each mission by completing specific objectives including speed runs or beating the mission on elite mode. You are here. A new subway map-style mission selection UI gives users a better sense of how they are progressing across Gunheart’s Planet Fortune. No more scrolling through lists of missions to guess at how to unlock them, yay! Tougher money pumps! You asked, and we delivered! We’ve tweaked the difficulty for the money pump missions. Money kegs for everyone – money is now shared across all players, and new Gold money kegs can show up in later missions which give 3x the reward. Loot room tweaks – bring your bats for some loot smashing fun, loot eggs conveniently float up for smashing, and in-world pop-up makes it much easier to see what reward you earned.